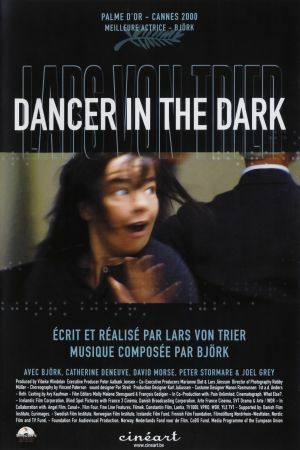 'Musical', 'Lars Von Trier' and 'Bjork' might well be the least likely combination of ideas since 'Tottenham Hotspur' and 'success', but in Dancer In The Dark, Von Trier has fashioned an outstanding piece of work, meriting a look for numerous reasons. 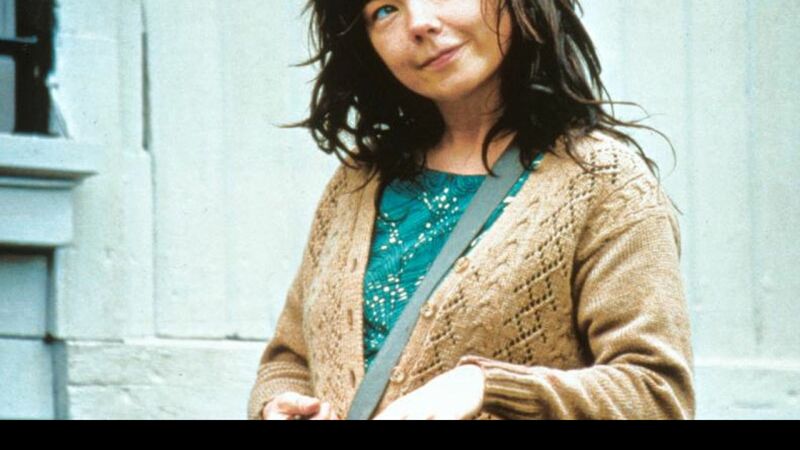 Bjork plays Selma, a half blind single mother who works at a factory, whiling away the hours by dreaming of musicals, in the hope that she will earn enough money to pay for her son's important eye operation. When her landlord steals her earnings, she confronts him and ends up being sent to jail for a murder she is only half-guilty of. Once in prison, she is faced with the decision between her son's sight and her life. Von Trier follows up his earlier good work in Breaking The Waves and The Idiots with another example of the kind of film that shouldn't work, but somehow does. Shot largely in the Dogme style he advocates (dodgy camerawork, largely improvised, only naturalistic lighting), the atmosphere of the film is beautifully evoked, portraying a world that is as dream-like as the one which Selma longs to live in. Bjork surpris-ingly proves herself to be a star, utterly convinc-ing in her role even when provoked into singing in her trademark banshee wailing style. When it was showing, audiences who didn't enjoy the film were offered a refund (note: we're not doing this!). The reason is simple, that this film is an immensely beautiful, deeply moving and often devastatingly touching experience and will prove utterly rewarding to one and all.